Between the Stars is a Kickstarter game which has just received full funding and is due for release in Q1 2019 by Isolated Games. They have released a long playable demo called Prologue which is what I'll be reviewing here. BTS is a single player spaceship action game with management elements and is the latest in a long line of games of this type, going way back to Elite in the 8-bit era. 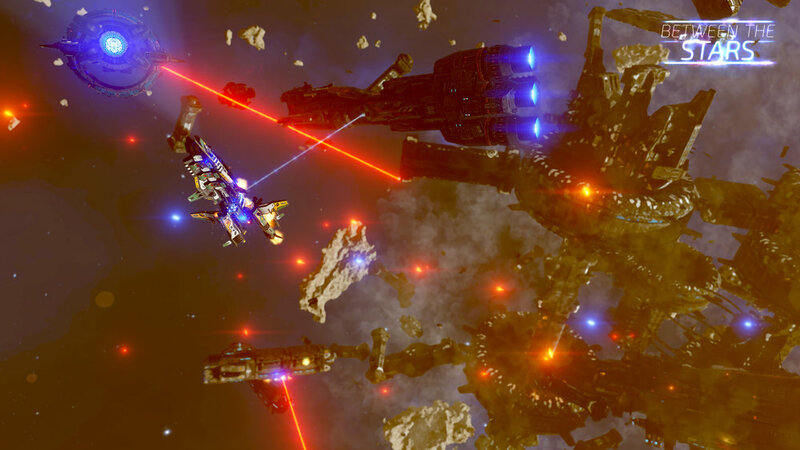 You play a starship captain of the Interstellar Republic as you hop about the galaxy in a variety ships, shooting space pirates, managing your crew and carrying out various missions along the way. The graphics are pretty but being as it's space there's often not a lot to look at. The music is well done too and I didn't notice it repeating even though it did. Voice work on the whole is good and the ships handle pretty well. There's no controller support (at least on this demo) but it doesn't take long to get used to the basics. The missions follow the basic routine of flying where you need to go, maybe shooting a few enemy ships, then docking at your objective. Once you arrive the game turns into a text adventure, with a dialogue box giving a description, ie "You have entered a large room, do you want to go left or right" and the choices available are listed below. This was a bit strange at first and I wondered if I had flown through a time warp to the 1980s. There's not even any spoken dialogue, it is strictly old school. Once you finish the mini adventure section (which usually only takes a couple of minutes) you are back flying about again. The downside to this is there can be long periods of just getting from A to B which although you can use 'turbo' engines to get there a bit quicker, it can drag the pace of the game down a bit. 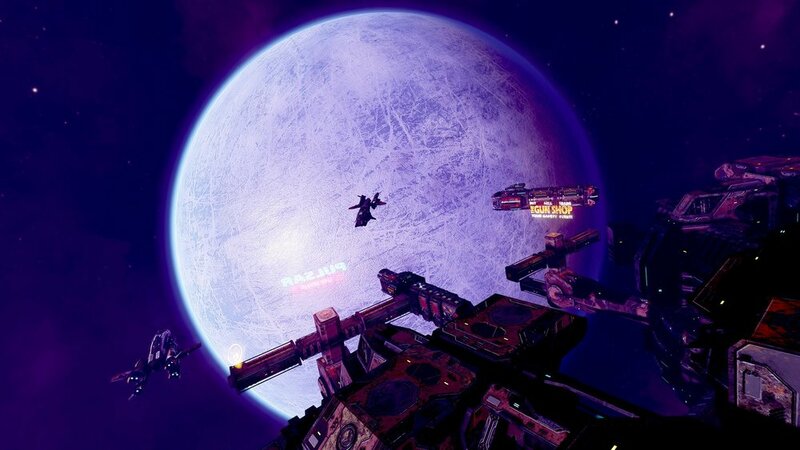 The space combat is quite fun, and there looks to be a large amount of star systems to explore, upgrades to ships and general Elite-ing about available in the main game when it gets released. Whilst it is difficult to review an early demo, and of course the main game could be very different, the demo itself is worth downloading if like space-em-ups and have a fancy to relive Level 9-style text adventuring. Oh, an important thing to note, you can't save your progress in this demo, so be sure you want to quit when you do!